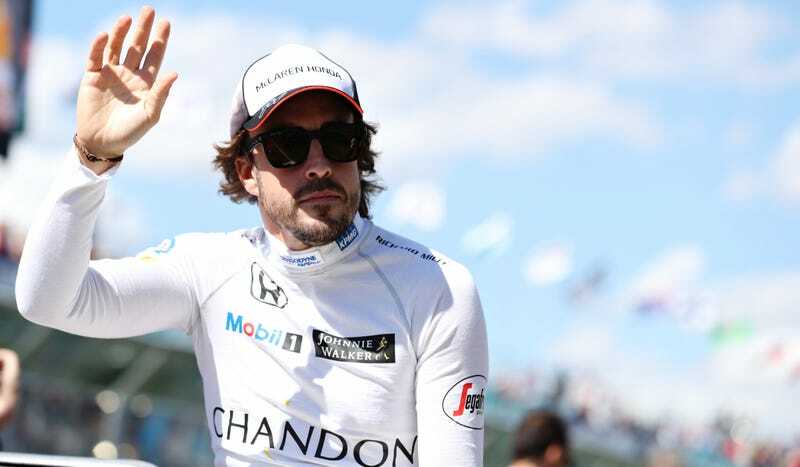 Following an examination undertaken this morning at the Bahrain International Circuit Medical Center, it has been decided that McLaren Honda F1 Team driver Fernando Alonso should not take part in this weekend’s Bahrain Grand Prix. Two sets of chest CT scans were compared and it was decided that there was insufficient resolution of the signs to allow him to compete on safety grounds. A repeat chest scan has been requested before the Chinese Grand Prix and the results will be considered before allowing him to race there. According to Formula One, McLaren reserve driver Stoffel Vandoorne will race in Alonso’s place this weekend. While this will be Vandoorne’s first F1 race, he’s already participated in several test days in the McLaren car and has several wins at Bahrain in GP2. This is the second year in a row that Alonso will miss a race for medical reasons following a hard crash. Last year, a preseason testing crash caused Alonso to miss the season opener.